Gone are the days when people that were anxious or fearful of going to the dentist simply ignored their dental care. This often allowed minor dental problems to become major issues that require immediate and expensive care, which usually leads to even more dental anxiety, creating a cycle that is ultimately detrimental to someone’s oral and overall health. 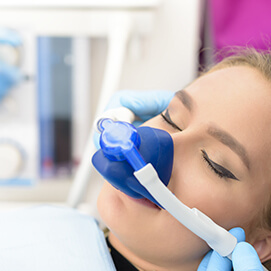 Now, at Aesthetic Family Dentistry in Baytown, TX, we are able to provide three different levels of sedation dentistry options to help our nervous patients relax and experience pain-free dental procedures. Whether you need just a little help to feel comfortable in the chair or something more substantial, you can rely on our experienced and understanding team to be there with a sympathetic ear and a solution at the ready. 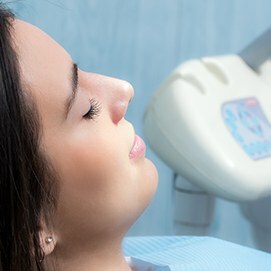 In many cases, it only takes one stress-free appointment using sedation to help a person overcome their dental fears, and we can do the exact same for you with the techniques below. Not everyone is the same or requires the same level of sedation to feel relaxed and comfortable at their dental appointment or procedure. Dr. Hutto and Dr. Ragsdale can discuss the various options with you at your dental checkup, or we can also provide information when you call to schedule the appointment for your procedure. First Class Sedation – This is the highest level of sedation and is completed by Dr. Ragsdale, a trained, licensed anesthesiologist. It involves IV sedation, and with the anesthesiologist, you can choose a moderate to deep level. With the moderate level, you will still remain aware and be capable of answering questions, but you will have limited memory of the procedure and experience no pain or nervousness. With very deep sedation, you may relax completely and fall asleep. Business Class Sedation – Also called oral conscious sedation, you will take an oral medication prior to the visit. You will be completely relaxed yet awake, although you may not remember all the details of the procedure and you may actually fall asleep in the chair. Coach Sedation – This is the form most common to patients and includes nitrous oxide gas inhaled through a nasal mask. You will be carefully regulated while using the gas, and you will feel comfortable and relaxed through the dental procedure. If you are choosing either First Class or Business Class sedation, you will need assistance with driving after the appointment, as mild sedative effects may last until the next day. With Coach sedation, you will be able to drive after the mask is removed. Sedation dentistry is very common for patients that have mild to significant levels of anxiety about dental procedures. It is also an important consideration if you have a sensitive gag reflex or any type of neck or back pain that makes staying immobile in the chair a difficult experience.